Demolition of the west wing of Missoula International Airport is set to begin next month, with excavation and foundation work slated over the summer. By next fall, vertical construction on a new passenger terminal should begin. 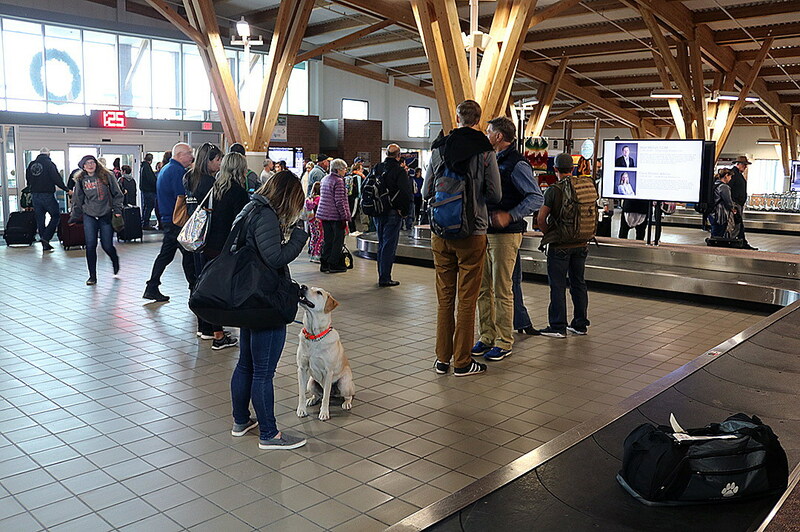 During the first week of the new year, the airport will relocate several airline ticket counters and the jet bridge typically reserved for Allegiant Airlines. Doing so, Damrow said, will vacate the last portion of the building set to be torn down next month. The work represents years of planning as the airport marches down the road of building an eight-gate facility with room for expansion. It cleared a major hurdle this month when TSA moved its checkpoint to the center of what formerly served as the airport lobby. Airport director Cris Jensen said the Federal Aviation Administration has been supportive throughout the process. The airport is still working on final design and hasn’t set upon a final project budget. As that process plays out, the airport is also working with Springsted, a financial firm, on structuring an appropriate bond to fund the project. Unlike past years, changes to the federal tax law allow governments and nonprofits to refinance a bond just once. Springsted is working with the airport to structure that funding tool. Finance manager Teri Norcross said Springsted has experience working with airports, and working in the state of Montana. The same firm helped the city of Missoula finance its purchase of Mountain Water Co.